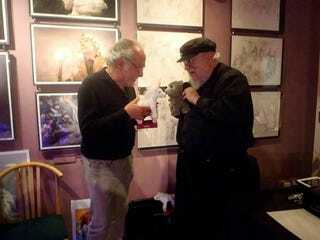 Peter S. Beagle and George R.R. Martin, with spirit animals. From Beagle's signing at Martin's own Jean Cocteau Cinema in Santa Fe, which screened The Last Unicorn a couple of weeks ago.